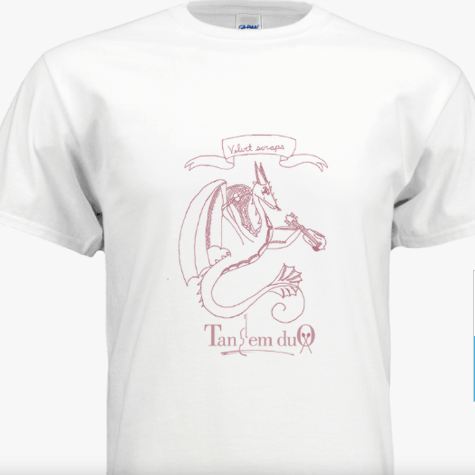 A comfy cotton tee featuring the album cover of Tandem Duo's Velvet Scraps with art by Laynee Page. Available in sizes S, M, L, XL. Please indicate size preference in order.